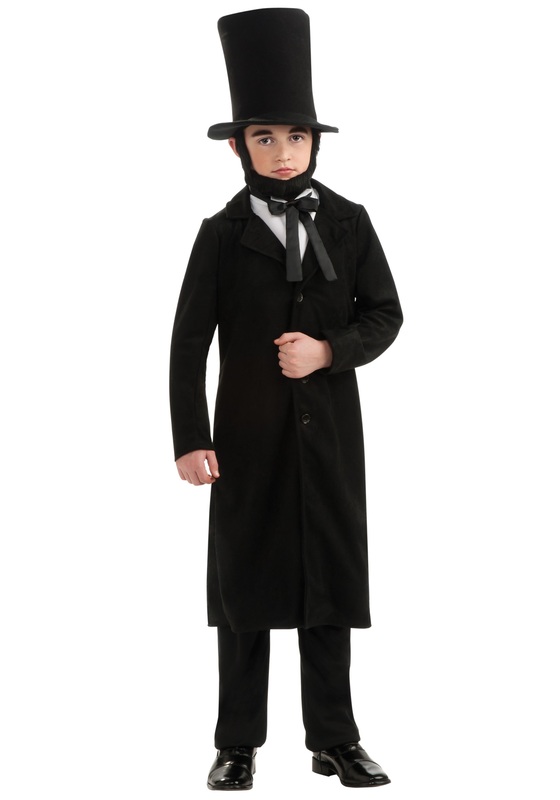 This is a terrific Abe costume. I have a 7 year old Abraham fan who was thrilled with this costume The coat is great. Pants are a bit cheezy...but they worked. There is no beard but we bought the black makeup and made a beard. Sebastian is 7 and wears a size 7. This was a bit large but maybe he'll revisit Lincoln next year. No worries about this costume--it's really solid. The costume arrived on time and in great condition. After a little bit of ironing it looked fantastic. The pants were a bit long, so after a little hemming everything fits perfectly. I didn't mind the long pants as I am thinking each child's height will be a bit different. This way everyone can accomplish a nice fit. I will order again from this company.